Sahaja Yoga has been taught since October 2005 in 2 prisons in Italy. In the prison of Velletri, Sahaja Yoga began thanks to the support of the “guarantor of the rights of prisoners ", a service of the Ministry of Justice which exists in some countries among which Italy and Spain. Fiore tells us here his first sessions of Sahaja Yoga and the impact which it had on him. This testimony is describing well what is done during a Sahaja Yoga course. “It was the 15 September of 2005, when I was transferred to the section of high safety in the jail of Velletri near Rome, for my last year of jail. 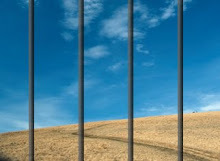 I have a very stormy past with more than twenty years all together spent in jail. It was in the middle of October, when one afternoon I returned from walking together with Giorgio in the yard. We saw new posted notices. One course of Sahaja Yoga was proposed. The interested persons had to write a special demand to the educator. At once we decided to write our demand, because it would bring us certainly advantages : those to go out more often of the cell and to live a new experience. We wondered if there would be a selection : we could foresee a big number of persons. 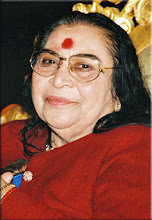 One week later, the agent of the section called us in our cell for the course of Sahaja Yoga. We entered a bit curious and we noticed three new faces with the educator and the Guarantor of the prisoners. As usually we introduced ourselves (we were about twenty ), while the educator marked the presences. These three new faces were Daniela, Lucio and Papik. My attention then fell on an illustration ; at first sight it could be a Buddha, with words written in an oriental language. Lucio, a person of beautiful imposing presence, with grey hair and about 58 years old, presented this new experience, the first one in the Italian prisons, and authorized by the Ministry. This thanks to the intervention of the Guarantor of the prisoners to whom we made a sign of thanking. After this explanation, Lucio had suddenly a knot in his throat. He couldn’t speak anymore. I had the idea to ask him if it was the first time he was visiting a prison and he was in front of people like us. Then, we said that some of us were Neapolitan ; at once he smiled and he talled us that he was also of Neapolitan origin ; he presented us the origin of Daniela and of Papik. Their eyes then were shining with enjoyment to feel accepted. And so we bound friendly links by speaking about our origin : the Neapolitan, the Calabran, the Sicilians and the Albanian. The atmosphere became then more relaxed. Lucio began to explain the illustration which represents the canals of our subtle system. All this was a part of unknown things for Giorgio and me. They decided to get to the heart of the subject at once and they invited us to follow them in the meditation. Lucio asked us to close our eyes, to relax and to think of nothing ; if the thoughts came, to let them slide and if they were bad thoughts, to say to them "no" and to ask to the Mother Kundalini to eliminate them. While that, we looked at them with half closed eyes ; we also looked at each other and the most difficult thing was to prevent us from laughing. We managed not to laugh and I began to observe them. Their faces were relaxed ; they were without shoes ; they seemed light and so quiet . I thought of the impact that they could have on the prison. Lucio asked us to follow Papik to raise our Kundalini and to put our attention on our sensations. After the exercise, sceptical we looked at each other by comparing our sensations. Daniela, Lucio and Papik asked us to stay in meditation. At the exit, we stayed in the corridor to exchange our impressions. Someones laughed at the lesson openly while the others were interested. Nevertheless something had just happened to us. My companion of cell had the habit of going out in the morning in the yard ; I took advantage of it to meditate, what was for me a kind of psycho-therapy. At the 2nd session, one week later, we realized that only one had given up and that more prisoners came ; like Janson from Niger, a very religious boy. We noticed besides the photo of a lady with deep eyes and smile up to ears. In the centre of her forehead, a circle of some centimetres, covered of red. Papik adjusted the volume of the sweet oriental music. Lucio talled us about the value of the fire, the water, the earth and the air, the 4 essential elements of the life ; they compose our body and the footsoack with salt water brings us a lot of welfare. Then he spoke about Shri Mataja Nirmala Devi. And after we started the meditation. At the end of meditation, gone into raptures, we opened our eyes ; and we looked surprised because on all the faces we read a certain serenity. Some felt the heat on their palms; others a light breeze on their fontanel ; others their fingers tingling ; and somebody felt penetrated by a light sensation of internal welfare. At the end of the session, Daniela handed us a small photo of Shri Mataji. The next days, I added the foot-bath to the meditation and I tried to raise my kundalini. I went to the 3rd session. When we had greeted each other, Lucio, smiling, asked us which evolution we had felt during these first meetings. Auguste and Maurizio began to speak about their internal welfare. Several ones explained that it became for us impossible to meditate in cell, because people was laughing at us. Papik explained he met the same problem. Lorenzo came to visit us one day, to replace Papik. I observed him : as Daniela, Lucio and Papik he was radiant, proud, and transparent. It was clear he was happy to be with us. It took some weeks and we began to practise the introspection. I did not notice any more anxiety in me. I felt serene, better with myself and with the others. I began to face the difficulties in a positive way ; and days became for me more and more coloured. I thought that I had improved my mood and reached some internal balance thanks to the meditation. It is even thanks to it I was able one day to help my fellow of cell to write a letter of demand of conditional liberation. I spent several hours for that, but I made it with enjoyment. Some weeks later, he had a positive answer and thanked me, crying of joy. It was for us a very beautiful moment. My testimony wants to be also a thanking for Daniela, Lucio, Papik and Lorenzo ; and for the Guarantor of the prisoners and the educator who allowed this initiative.